These bespoke medium run notebooks, had to be produced to a finite budget. The quantity of books and the budget required the use of litho technology. In order to keep within the clients budget we worked with them on a one to one basis, advising of a simple change to the pagination which, without detriment to the product, meant the book could be delivered on time and within budget. 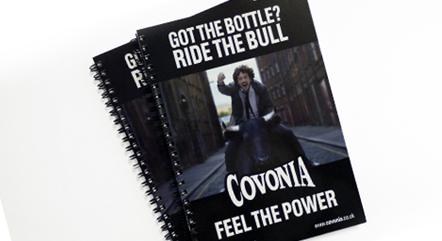 We’re sure you will agree that these Notebooks look fantastic.